There is nothing like staying in a mountain cabin, however, being prepared when you are going to a rural populated area is a must. North Georgia cabin rentals are no exception. 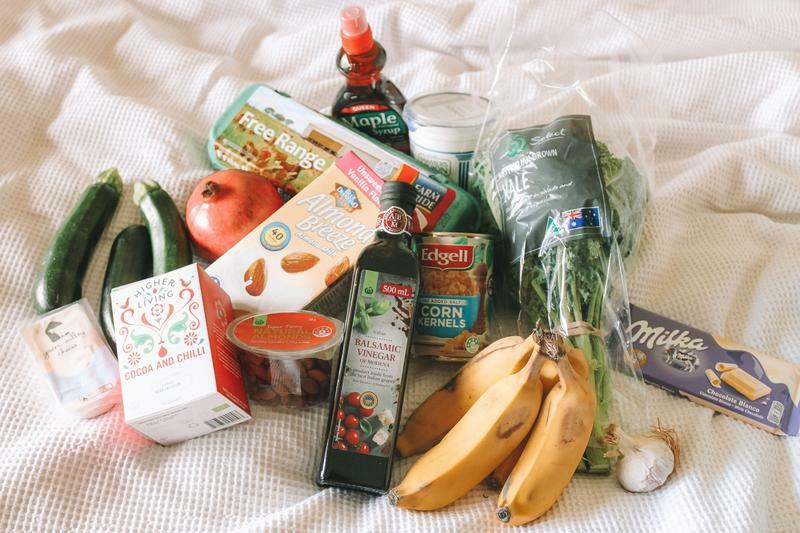 To help you prepare for your stay, these are the things we recommend bringing. We can not reiterate this enough. Weekly, we have folks that forget to bring their "final approach" directions to their cabin. At our north Georgia cabin rentals, we go as far as saying "you may get lost without it" but some choose to ignore this warning and rather than staying in their booked luxury cabin, they end up at the Motel 6 because their GPS loses signal on the final leg of the journey. When you're lost, you arrive in the dark of night, and your technology fails you, it won't be a pleasant experience to recover and get to your cabin. 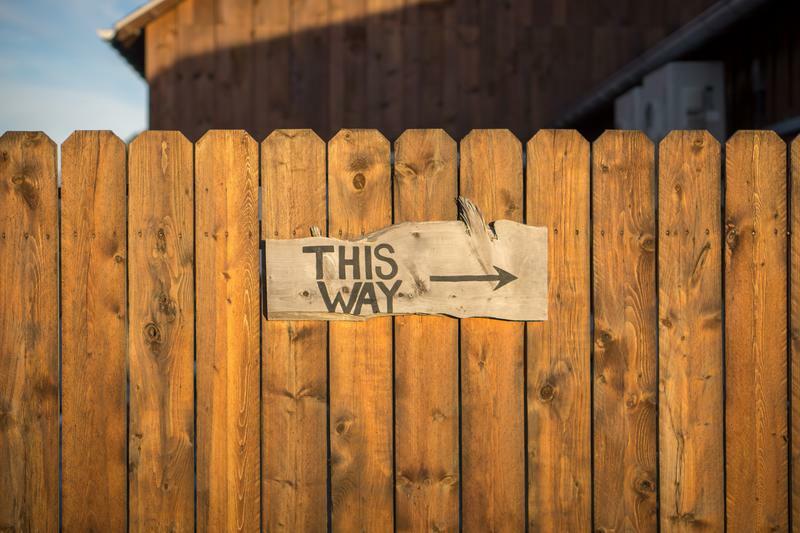 Also, we recommend printing off the directions and photos we provide because many of the locations addresses don't properly show up on mapping systems. If we've not made it clear, let us reiterate. Please print off and bring your directions with you when you stay with Cedar Creek Cabin Rentals. 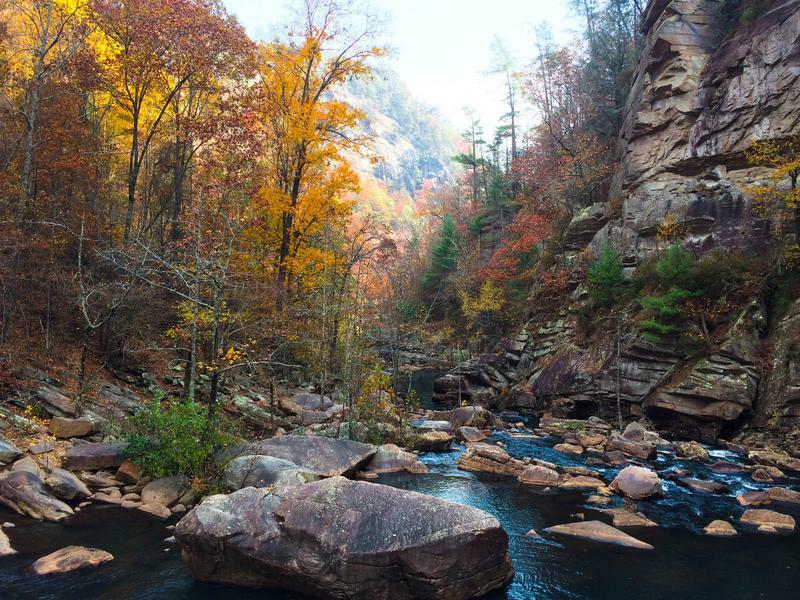 Hiking boots, fishing tackle, and mountain bikes to use at Unicoi State Park, which has facilities and trails for all these activities and more. Bathing suits, board shorts, bikinis and other swim attire, for swimming at Unicoi Lake, hanging out at Anna Ruby Falls, and using your cabin’s hot tub. A partial wet suit or other “wet” clothes for some serious white water rafting down the Chattooga River, or some leisurely inner-tubing down the Chattahoochee River in the heart of Helen. A magnifying glass to seek out gemstone treasures you’ll find at your own private panning tables at Dukes Creek Gold and Ruby Mines where admission is free. Golf clubs! Helen and environs feature a half-dozen quality golf courses, including the Nicklaus Golf Club at Birch River, designed by the master himself, Jack Nicklaus. 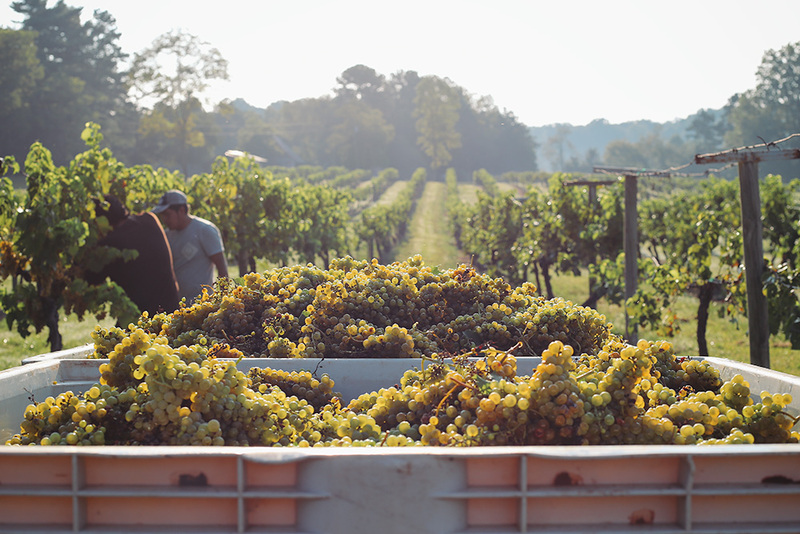 Your refined palate--Helen is renowned for its fine wines and the area is home to numerous wineries, including the prize-winning Habersham and Wolf Mountainwineries where tasting rooms are open daily. Some backside padding for horseback riding. A video or digital camera (if your phone doesn't have one) to capture amazing Charlemagne's Kingdom, a must see for the model railroad enthusiast with literally hundreds of feet of HO-scale track wending through richly detailed Alpine towns. Money, either plastic or the paper kind. Because if shopping is your thing, Helen features over 200 specialty stores and boutiques selling everything from candles to cuckoo clocks, and antique shops filled with high quality furnishings and decor. A great appetite: Helen has dozens of fine eating establishments that offer authentic German fare, good ol’ Southern home cookin’, plus steaks and chops, seafood, deli sandwiches, candy shops, and even funnel cake. An excellent camera to capture all those special family moments. When you're traveling, you often have limited space in your suitcases and vehicle for storing supplies. As a result, it's often necessary to buy the things you need once you arrive at your destination. This can be tricky if you aren't familiar with the area. Fortunately for you, we know all of the best Helen business places to visit in order to be as comfortable during your stay as possible. Below, are a few top stores to check out. You can also explore our shopping hub for additional tips, and guidance. Many visitors to the Helen cabins enjoy taking advantage of having their own fully-equipped kitchen. You can save big money on meals by preparing your own, or you can whip up snacks for when you're hanging around the vacation home. One of the best Helen business places to find groceries and other tasty treats is at Betty's Country Store. The store offers a variety of fresh produce, meats, beverages, condiments, breads, and baked goods (don't miss out on your chance to try Betty's famous carrot cake and cheesecake), among other things. You'll also enjoy fresh honey, compliments of Betty's bees! 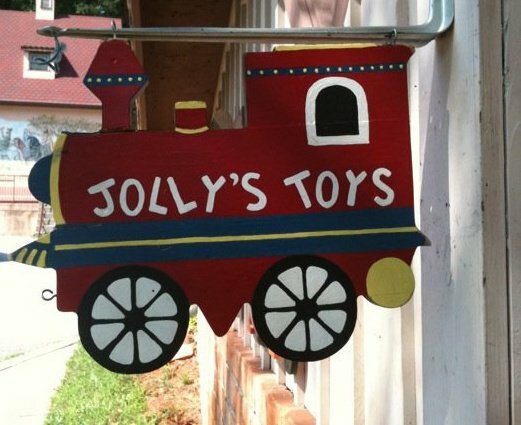 Whether you're traveling with kids who need a little bit of added entertainment, or are hoping to enjoy the simple pleasures of playing games with your family and friends back at the cabin, Jolly's Toys is the Helen business to visit! For 30+ years, Jolly's has been delighting visitors with unique specialty toys from around the world, retro toys, challenging puzzles, board games, children's books, and more! Take home your own hand-crafted wooden toy, constructed right before your eyes by the store's own toy maker. Maybe it's a rainy day, or a bit chilly outside. Maybe you've exhausted yourself after a fun day exploring the many attractions throughout the Helen area. Whatever the reason may be, you're ready to hunker down in your cabin's family room and pop in a movie to enjoy with your family or friends on your flat panel TV. Instead of bringing a stack of DVDs on vacation with you, why not just stop by the local Redbox? You'll find a Redbox conveniently located on South Main Street where you can select from the latest Blockbuster hits before heading back to your cabin, putting your feet up, and relaxing. When you're on a private getaway with your sweetheart, you want to take advantage of the opportunity to rekindle the sparks of love, and make the most of Helen's extremely romantic setting. 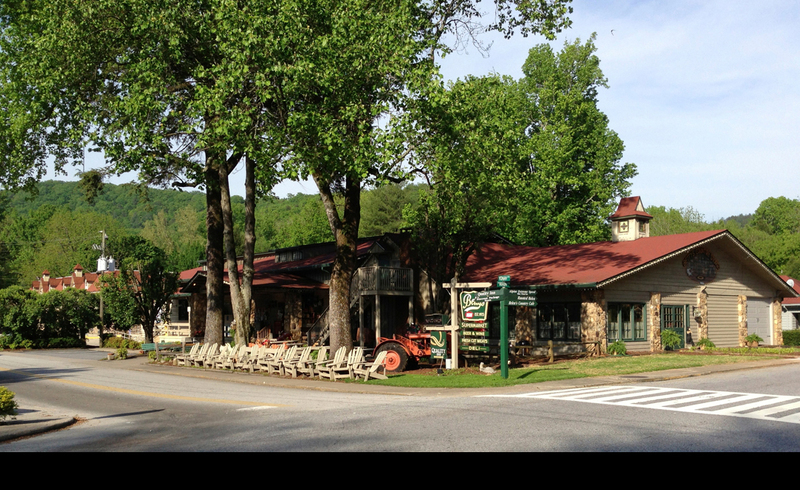 Habersham Winery is located just a stone's throw away from your cabin rental, and offers a wide selection of local wines and gourmet specialty foods. After a charming afternoon of touring the winery and tasting the various available wines, make your selection and take a bottle and complimentary foods back to your cabin where you can enjoy a class in your hot tub or in front of a crackling fireplace. No matter how well you plan for your vacation, it always seems like something gets forgotten at home. Whether it's shampoo or aspirin, Randy's Helen Pharmacy is the Helen business to visit in order to find what you need. The pharmacy is especially convenient in the even that you forget, lose, or run out of an important prescription medication during your trip, and they work with most insurances, including medicaid and medicare. What are the ingredients for a wonderful getaway? The recipe for a memorable vacation consists of three things: good planning, a great location, and a healthy bank account when it’s all over. This general rule of thumb is especially true for a stay in Helen Georgia, where there's an overabundance of activities to try and places to visit. Before you set off in a car or a plane towards Helen, make sure you’ve done your homework beforehand (our website is loaded with resources to help you do this). The more planning you do, the more prepared you’ll be, and the more memories you’ll create during your vacation. There are so many things to do and see at Helen that it can get overwhelming once you’re in town. From rock climbing and white water rafting to German beer and food, there’s something for everyone to enjoy. If you're the kind of person who enjoys everything, don't attempt to actually do everything in a single weekend. It would be impossible to do so. To make the most out of your weekend in Helen, select your adventures carefully so you can experience all the different aspects of the area. For example, you could do one outdoor activity, visit one popular tourist attraction, eat at a fabulous restaurant, and partake in one water activity. That would make for a full weekend. However, if you’re truly an outdoor person or if you’re a total foodie, you might prefer to focus on one specific theme for the whole weekend. As long as you plan ahead, you can make your weekend whatever you want it to be. Another important part to planning is to make all of your reservations in advance. This includes lodgings, car rentals, and vacation packages. You don’t want to wait until the last minute and find out that your preferred lodgings is all booked. Last but not least, check the schedule of events in Helen Ga. For example, the annual Oktoberfest is a really big thing in the area, which might be something that you want to experience... or avoid, if you don’t like big crowds. 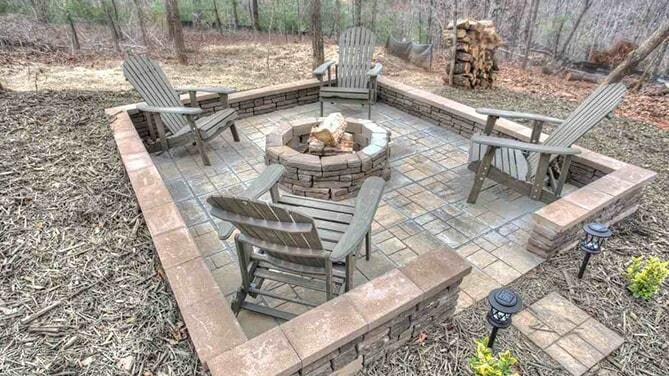 Once you’ve developed a solid plan for your weekend in Helen Ga, you’ll have a clear picture of what you want out of your lodgings.Determine what would be the perfect location for you to stay during your weekend. Do you want to be located within walking distance to the city or do you want to stay in the middle of the mountains? Will you have a car or will you need public transportation? There are plenty of cabin rentals and other lodgings in various locations around Helen, so as long as you give yourself ample planning time, you should be able to find a spot that works for you. Also, think economically when choosing your lodgings. It’s always good when you can get more bang for your buck. Try to find lodgings that give you more amenities for the amount of money that you pay. For example, some cabins come equipped with a full kitchen and a living room, which are features that you won’t find in a hotel room. Other conveniences you might want to consider when choosing your lodgings include a private hot tub, extra bedrooms, pet accommodations, and handicap accessibility. There’s nothing that can ruin a fun weekend in an exciting city than a bank account that’s been depleted at the end of the vacation. Of course, you’ll need to spend some money to fully experience the area, but make sure that you focus on the worthwhile things and skimp on the things that don’t matter. Food can get expensive fast. Cook most of your meals at your kitchen and carry snacks and bottled water with you as you explore the city. Save your money for the best restaurants in town for a few meals, instead of eating out for all of your meals. When you plan your vacation, search for good deals online. There are coupons and package deals just waiting to be found. To save even more money, consider scheduling your weekend during non-peak times. Flight costs will be lower and lodgings are usually cheaper during these times. During your weekend, track your expenses and stick to your budget. Then you can spend your hard-earned money on the more fun and memorable parts of your weekend, whether it’s a private wine tour at a local winery or a thrilling zip-line ride through the mountains. When you book a vacation in North Georgia, you book time away from the hustle and bustle of your daily life and all the noise and distractions that come with work, family and a busy calendar. In the northern Appalachian foothills, you can leave it all behind and simply enjoy being out in nature. The cabins in Helen offer a wide range of natural settings. You can gaze out at purple mountains majesty or relax while overlooking a gentle stream. Sip your coffee from an expansive deck while listening to nothing but the birds, the wind in the trees and the roar of a nearby waterfall. Go ahead and turn off your smart phone. There's no app on your phone to equal the calming effects of these natural surroundings. Head out into the nearby wilderness to see even more of the beautiful landscape of northern Georgia. Just outside your cabin door lies the Chattahoochee National Forest and the Blue Ridge Mountains. Wander these national treasures that have existed for generations upon generations. Looking up at the massive trees and hiking to new elevations puts our own lives into perspective as we take in the ancient natural beauty around us. Or simply go for a drive among the small mountain communities to look at the changing fall colors and to step back in time to a simpler way of life. Nature has a way of calming and settling the mind. There is a reason why movies feature writers and artists with cabins sitting on open land and blanketed by forest. The wilderness refreshes the mind and rejuvenates the spirit. Not everyone can afford to own a cabin for vacationing or for a permanent residence. Fortunately, there are Georgia cabin rentals. Groups can escape for a weekend or even for a weeklong excursion into the woods. The cabins sit in pockets of wilderness in the Northern Georgia Appalachian foothills, offering views of creeks, mountains, and waterfalls. There are pet friendly cabins with play areas for kids so that the family can come along, too. Breathe in fresh air and wood floors and framework. Relax in the cabins’ open-layouts and high-ceilings. Cabins come with modern amenities and appliances, with marble countertops and stone-wrapped bars and fireplaces. Boy Scout or Girl Scout groups can explore the wilderness through the trails that weave through the forests and run along streams. Businesses can hold multiple day conferences using HDTVs and high-speed Internet access for unorthodox meetings that increase productivity, morale, and team rapport. 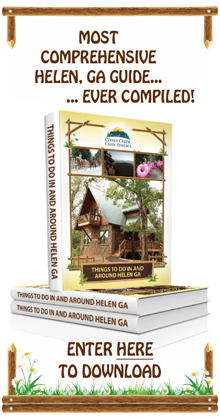 There is more to do outside the cabins in Helen GA, too. In Helen, golfing, shopping, fine dining, canoeing, and other services wait, all built around the idea of families and couples, businesses and groups. Photographers can take advantage of the scenery and capture the awe of nature or the livelihood of people. Artists can use the decks of cabins or parts of the trail to create art. 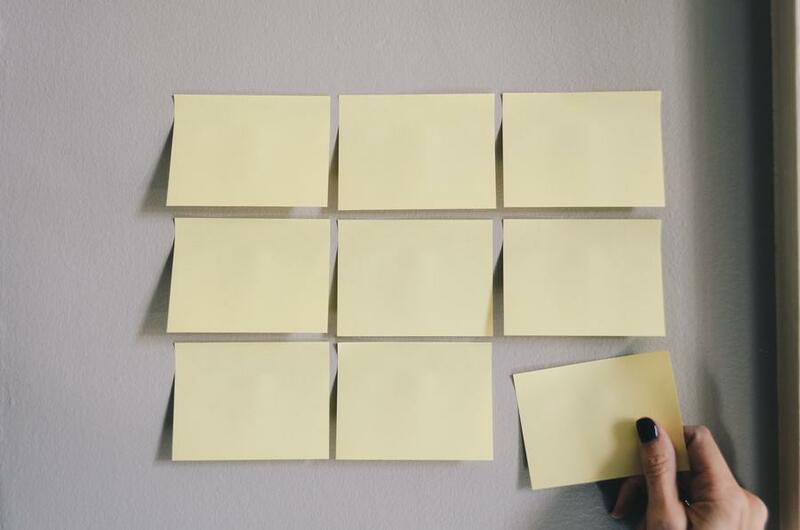 Writers can concentrate and spill words onto paper. Spa treatments, massages, or even tubing caters to the needs of the busy individual looking for a getaway. Cabins in Helen gain notoriety for their picturesque views and separation from the ribbons of black pavement, noise of traffic, and the exhaust of machines. Whether from Georgia, South Carolina, North Carolina, Tennessee, or anywhere else in the world, there are peaceful luxury cabins in North Georgia in Helen. Anyone looking to escape work or to work at an escape can enjoy the gentleness of nature, the stillness of hanging fog, and cool air and wake up to the smell of fresh air or fall asleep to gentle stars, flowing streams, and mellow crickets. What cabin essentials do you require on your vacations? Let us know, and we'll help you find the best Helen business place to track down what you need.